As buyers became more sophisticated, they wanted to see more accountability and quality checks throughout their supply chain. This was particularly true in Europe. Europe is home to The International Standards Organization or ISO, located in Geneva, Switzerland. They created a system of industrial and commercial standards and provided specifications for products, services, and systems. These standards in turn promoted quality, safety, and efficiency. Many European countries, where industrialization was flourishing, were quick to embrace this system. In time, buyers came to expect certification as a part of doing business. 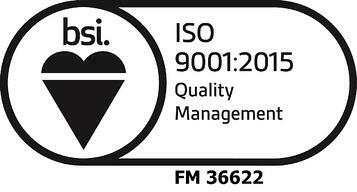 Today, ISO 9001:2015 has become the standard for most manufacturing companies. After numerous mishaps, particularly with offshore suppliers, it became clear that purchasing companies needed verification that their suppliers were playing by the rules. 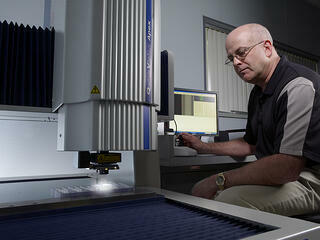 In fact many industries, such as medical, require their manufacturing partners to have this certification. Manufacturing companies who operate by ISO standards clearly show suppliers they are committed to utilizing the highest-quality standards in their production processes. Implementing the ISO 9001 standards can be a daunting task. It involves cooperation and feedback from internal and external stakeholders. Companies go through a rigorous assessment before implementing the quality management principles throughout the organization.To help with the process, companies hire a certification body (audit firm) to help them create a plan and comply with the standards. Thus implementation can cost thousands of dollars in fees depending on the size of the business. Also, there is a cost to reallocating internal resources to assist with the certification. Once certified, ISO requires regular audits to insure the standards are maintained. Many companies, like The Rodon Group, have an on-staff quality manager who ensures that we continually meet these requirements. Depending on the industries served by a particular manufacturer, they may need to obtain additional certifications. This is true at Rodon. Some of our clients are in the food and beverage industry. To insure we meet the highest industry standards, we implemented a HACCP system. HACCP stands for Hazard Analysis and Critical Control Points. Unlike ISO, which is an international independent organization, the HACCP rules and principles were developed by the National Advisory Committee on Microbiological Criteria for Foods (NACMCF). This committee is comprised of representation from several government organizations including the USDA and the Department of Health. There are seven basic principles that need to be implemented to meet these standards. They include hazard analysis, critical control point identifications, establishing critical limits, monitoring procedures, corrective actions, verification procedures and record-keeping/documentation. All employees must be trained and educated on the system. The Rodon Group produces plastic component parts for the food and beverage industry and to better serve our clients and demonstrate our commitment to quality, we adopted and implemented a HACCP plan. These certifications demonstrate a supplier’s commitment to quality and continuous improvement. They indicate that buyers and procurement professionals are dealing with a manufacturer that has reached the highest standards in the industry. At The Rodon Group, we use these standards to provide innovative plastic injection manufacturing solutions for our clients and continuously look for ways to improve and refine our processes.